Getting a few friends together for a group walk may be more beneficial than you think! It can contribute to your health without any side effects. This easy and enjoyable exercise is great for your physical and mental health, improving circulation, sleep, and mood, among many others. Based on scientific studies of walking groups over time, participants at the end of the study had experienced some sort of benefit; lower cholesterol, lower heart rate, or weight loss. Walking is such a great way to enhance your quality of life. So challenge yourself - set goals - buy a fit bit. Here are a few reasons why you should put on your walking shoes and go! It is free and simple. You can go alone or with friends, and get fresh air at the same time. We tend to become more and more sedentary, whether watching TV, eating meals, looking at the computer, or riding in your car. This can take a toll on your health. Just 30 minutes of walking each day will improve your health. Walking is the easiest way to strengthen muscles in your legs, back, and abdomen, all which keep you steady. 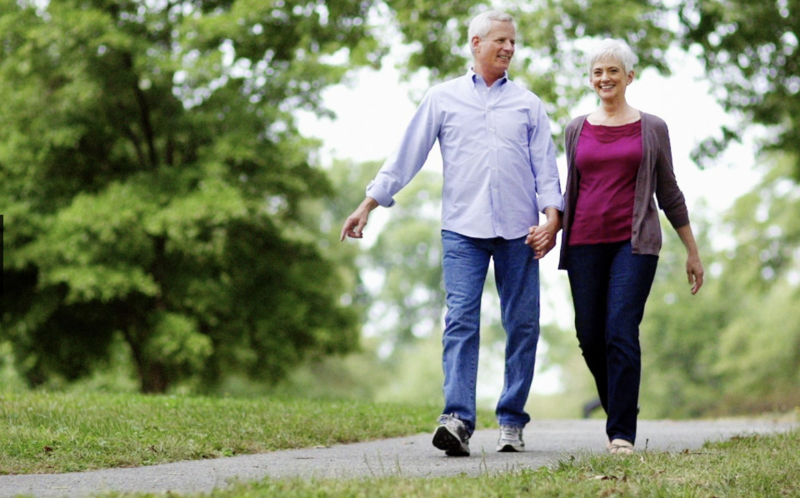 Walking will help you stay in shape, so you have an easier time doing daily tasks. It gives you a sense of independence. Walk with a friend! This activity encourages being social and reaching out to others. Along with all of these benefits, there are many others. 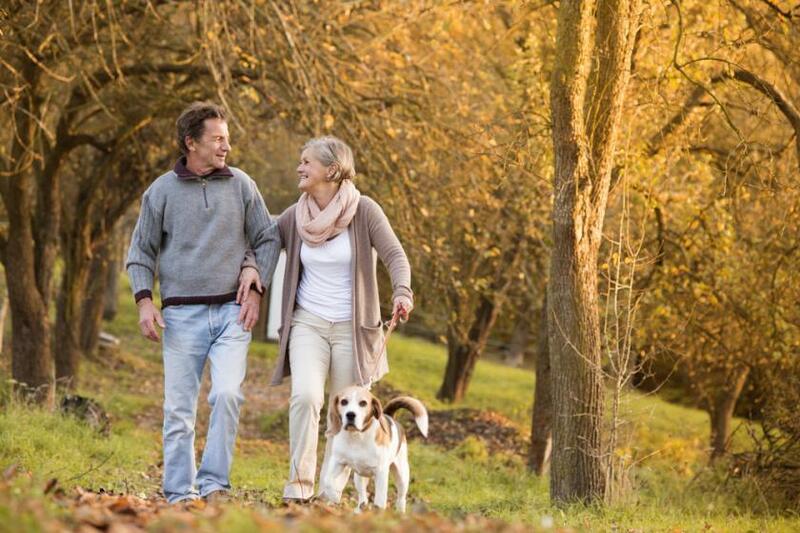 Walking eases joint pain, boosts immune function, benefits memory, and helps you sleep. Living in a walkable Cornerstone Homes community, you can meet up with friends or take your dog on the community walking trails. You can stroll along the community sidewalks throughout the neighborhood, or head to the Corner Patch Gardens to see what’s growing. On those rainy days, you can always head to the clubhouse and work out in the fully equipped fitness center while watching your favorite show. All of our Cornerstone Homes communities are located near numerous county and state parks. Grab a neighbor or your four-legged friend and head out for a change of scenery. 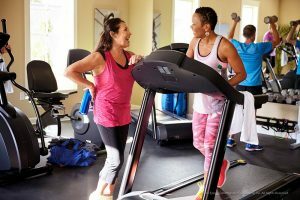 Staying fit at Cornerstone Homes is easier and more fun than you’d ever imagine. whether you enjoy walking indoors or outdoors, you have many options to stay fit and reap the physical and mental health benefits that this exercise offers. There’s nothing like a nice walk to get your blood pumping and make your mind feel fresh and clear — get up and get walking! For more information on living a healthier and better life now, please visit our website or come and visit to see firsthand. We look forward to showing you what life can be like. It’s time to take that first step!